I’ve lived in Tustin for over 20 years and the reason I enjoy being part of the Tustin Chamber of Commerce is I love serving the community and making a difference. Tustin is growing rapidly and I want to be a contributing member to Tustin. I enjoy participating in the events by donating my time, energy and any resources I can provide. I’ve met a lot of great and influential people and it is a great place to network. I look forward to continuing to support Tustin in any way I can. It’s a great city to raise a family. I live, work and support the local businesses. When I first joined the Tustin Chamber I didn’t know what to expect. I figured the only way to find out was to participate in as many events as possible. So, I attended every Connections Breakfast, Mixers and Ribbon Cuttings as I could. Then, I decided to become an Ambassador. Over a period of time, my connections really started to pay off….not only for Saddleback Chapel Mortuary but for me personally. My involvement with the Chamber has greatly increased our business, and most importantly, our image in the community. My personal contacts with City Officials and City Council members are relationships that are invaluable. If you sincerely want to grow your business and professional image AND are willing to make an effort to make meaningful connections, the Tustin Chamber of Commerce will be a very valuable resource for you. My Name is Karin Marquez. I have been the owner of Hypnotic Bliss Hypnotherapy since March of 2011. I have been a member for the Tustin Chamber of Commerce for almost 4 years. I am so happy to have joined this wonderful organization. I have greatly benefited by meeting genuine, kind and caring people who love the Tustin Community and enjoy finding ways of giving back to those less fortunate. I have enjoyed many ribbon cuttings, community gatherings and Tustin Events. The networking opportunities are numerous and have assisted me in finding new clients and building positive business relationships. 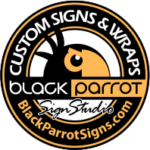 It is comforting to know that there is a great base of businesses to pull from when looking to fill vendor needs. Building these relationships has allowed me to feel comfortable doing business with reliable trustworthy people. To me relationships matter. Building professional connections through the Tustin Chamber of Commerce has helped me in building my business, meeting people and building new friendships. Let’s face it. We all have the same goals in mind of building or businesses to be successful. Let’s have fun and build our businesses together at The Tustin Chamber of Commerce. 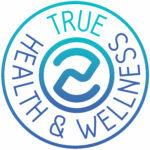 We created True Health & Wellness with the mission to improve our community’s well being. We believe in taking it a step further by helping the community beyond what our business services can offer. The Tustin Chamber of Commerce has been a wonderful place to achieve these goals and to grow our business within the community. 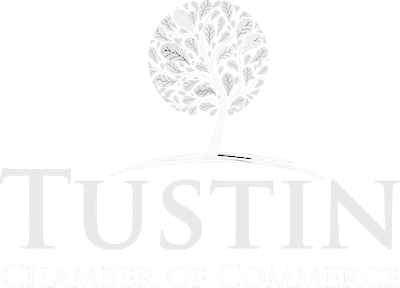 The Tustin Chamber provides its members many opportunities to share their business, make connections with others, and help mold the type of community they envision. As individuals within the Tustin Chamber we can be sure the community is moving in a positive direction. In order to have a voice concerning the advancement of your community, you must first get involved and give back. It should be every business’s duty in Tustin to join the Chamber of Commerce and get involved! I joined the Friends of the Chamber because I care about the City of Tustin! Joining the Chamber gives me first hand information about how the business community is doing in our City. As Tustin businesses succeed, our City grows! Economic development is a vital link to the success and growth of Tustin. As a Chamber member, we network with the business owners, participate in ribbon cuttings and learn about the businesses that are part of Tustin. I appreciate the building of business relationships within our City. After all, these are the businesses that give back to the non-profits and programs that support the needs of the Community. These business owners have chosen Tustin to run their business, support their families and support Tustin. Why not support them? Become a Friend of the Tustin Chamber! When we first opened our business in 2014, one of our first goals was to become involved in our local community. The Chamber offered us the chance to give back to the local community while growing new business relationships. It was truly a win-win opportunity. Within weeks of joining, we were already entrenched in the Ambassador program that allowed us to meet and help many of the local businesses that were interested in the Chamber. The more effort we put into the Chamber, the more we saw in return. For the past four years, it has been a valuable vehicle for us to not only improve our business but also to improve our City. We now think of the Chamber as our extended family. The events, the businesses, and (most importantly) the people are things that we are so proud to be a part of.